Registration Process: All Registrations for FSR Summer camp are done through the Council Tentaroo Ordering system. Mr. Lorch will be at our May 4th meeting at 7:30PM sharp! He will follow up with scouts who have not yet completed the Badge, or would like to start a class. Payment & Cancellation Policy: Accounts are to be paid in full 15 days before your trip. Reservations made less than 15 days in advance require full payment to be guaranteed. A full refund of your payment is available if cancellation is made at least 15 days before your trip; a 50% refund for cancellations made 7 to 14 days in advance; no refund for cancellations made less than 7 days in advance. No exceptions. Trips are governed by strict launch schedules and there can be no refund for late arrivals or no-shows. (Prior Year) Before leaving Shawnee, leave a $500 deposit for the same weekend the following year. Make sure groupsales sends you an email copy of the receipt. This should be left on the troop credit card and the receipt should be sent to the treasurer. Step 2 Early September you should get an email from grpsales@shawneemt.com with the latest package details, terms, prices, etc. Step 3 12 weeks prior to our arival date, which is usually mid November an additional $1000 deposit should be made to the mountain via phone. Be sure to check the prices of lift tickets, rentals, helmets, lessons, etc. as these change slightly year after year. Step 6 Right after the 1st of the year will start the full court press. You will receive an email from the mountain to start booking online rentals, broadcast this out A.S.A.P. because people are horible about doing it on time. Step 7 Stay in touch with Dotty as to the names and numbers and announce the trip at every Troop meeting. Regular Email reminders, about once a week also helps. Step 8 The Friday before the trip send Forms A, B, C to the Mountain. Make sure the rooming list has Downstairs Boys, and Upstairs, GIRLS/ADULTS so they do not start moving bunks around in the cabin unnessasarilly. Step 9 Monday before the trip blast out an online rental reminder! Step 10 Tuesday night before the trip, the online rental site will close. Anyone who has not done online rentals at this point will have to file the 1040 long form when they get to the mountain. Step 11 Thursday nights meeting before the trip make sure everyone going without family has a ride with someone. Get to the mountain between 2:00 and 2:30 to pick up the package from group sales. So you can be up in the Summit Lodge by 3:00PM when people start to arrive. Make an appointment with group sales for the business meeting on Saturday morning, usually at 10:AM after the group morning rush. Expired: Round Valley Hike In Camp! We will hike from the parking area approximately 3 miles to our campsite on the other side of the lake. We will be cooking on portable hiking stoves, the leaders should have enough for everyone to use. If you have a hammock this would be ideal for this trip, otherwise we have tents. Subject: New Eagle Project Workbook is required for all new projects starting January 1, 2012. Update to when the new workbook is effective. Eagle Scout rank requirement 5 has been reworded. To support that change, a new Eagle Scout Service Project Workbook has been created. Through Dec. 31, 2011, Scouts have a choice to use either the new workbook or the one it is replacing. 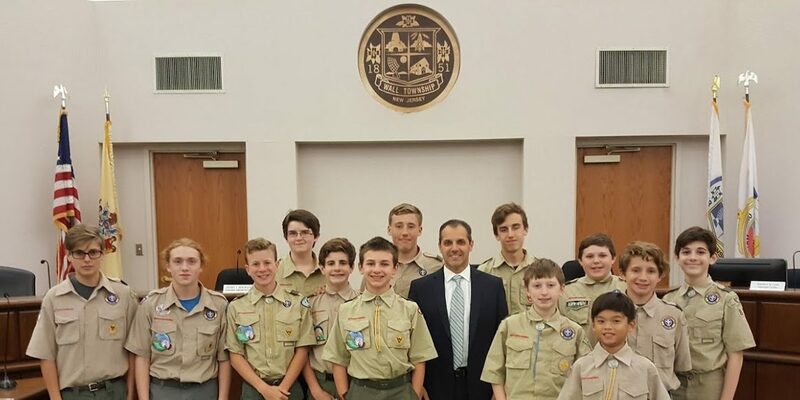 Scouts whose Eagle Scout service project has already been approved by the council or district under the former wording of requirement 5—and using the former workbook—should continue with the same workbook. If their project has not yet been approved by the council or district, they may elect to use the revised requirement 5 and the new workbook. Starting Jan. 1, 2012, Eagle Scout candidates—unless they have already submitted a plan for approval by the council or district under the former requirement—will be expected to fulfill the revised service project requirement 5 using the new workbook. For new projects (started after 2011), please make sure you use the most current version of the workbook, as National BSA will only accept the latest version, and not older versions. The latest version is posted below, and can be easily downloaded.